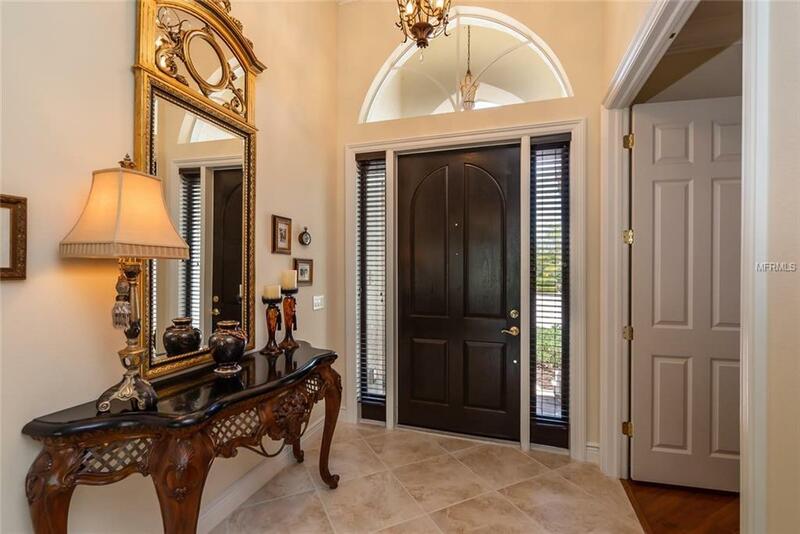 Crowning majestic emerald fairways, this three-bedroom residence in Lakewood Ranch Country Club exudes elegance & beauty but is nonetheless welcoming & comfortable. 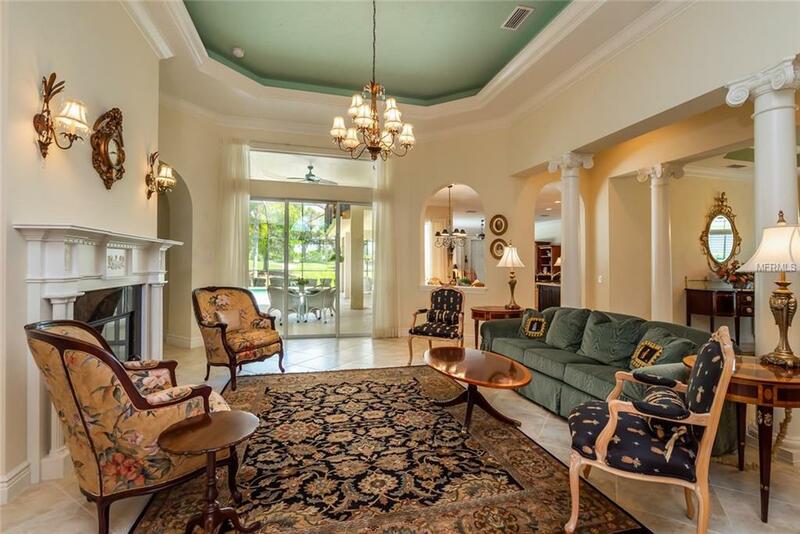 The drama begins in the magnificent living room, complete w/gas fireplace, tray ceiling, perfect spot for piano, & sliding glass doors onto the terrace. The formal dining room extends the area for entertaining, creating an intimate setting for good food, conversation, & laughter. Prepare your favorite family recipes in the gourmet kitchen equipped w/GE Monogram appliances, Viking induction cook top, dual-tone cabinetry, & sumptuous center island. Kick off your shoes in the family room & get lost in a thrilling action movie w/surround sound. Features of note include 5' garage extension, double pane windows, Hampton Hickory wood flooring, recirculating hot water system, central vacuum, radiant barrier & more. An office offers built-ins to hide unseemly clutter & a wine cooler/refrigerator standing by to pop the champagne after your latest business deal. Let your interior activities spill onto the screened terrace for breezy indoor/outdoor living. Cook your favorites on the Dacor grill while your guests play in the pool before coming together for an evening feast. Views of the golf course create a vibrant backdrop from the pool & every major room & provide an easy way to keep tabs on your loved ones game. Lakewood Ranch has been named one of the top-selling master planned communities & is near shopping, dining & beautiful white-sand beaches.